What is LOVE, Dr. Cookerly? : Thinking About Love, How Good Can Yours Get? Synopsis: Here you get introduced to the need for and the benefits of good love thinking; ideas for bringing together your head and your heart ways of thinking about love and getting free of blocks to good love thinking are also included; more. Do You Know How to Do Good Thinking about Love? If you give it a little thought, your thinking about love likely can get really good. That, in turn, could produce joyously superb results for your life. The trouble is, except for a few, most people are not very good at thinking about love usefully, productively or even close to successfully when there is a love problem. How about you? Can you think about love in ways that are beneficial, constructive, fruitful and if there are love problems, adeptly find love-based solutions? By the way, did you know that if there is a love relationship problem, it is thinking about the love part rather than the problem part that more likely can lead to improvements? At least that is what some suggest. Let’s suppose you want to fix a broken heart, get over a lost love, recover from a wounded heart or cure a sick love relationship. Or let’s suppose you want to find real love, grow a stronger love, deepen your love or generally just enrich your life with more and better love. Do you think you have the knowledge about love and what you can do with it to go after and accomplish what you want? Sadly, not too many people can reply to any of these questions with a strong affirmative. However, with a little study and practice you can, if you don’t already. So, let’s think about thinking about love. Start with a Simple Premise! If you do good thinking about love, your actions about love can get better and better which likely will result in more and more love success, and better and better love feelings more frequently experienced throughout your life. Conversely, if your love thinking is poor, inadequate, misinformed, etc. 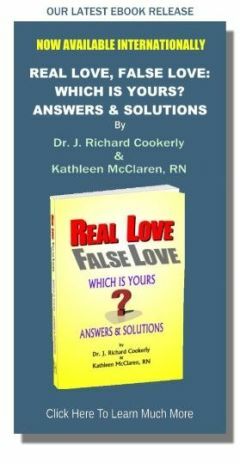 your actions concerning love are more likely to be wasted, counterproductive, inadequate, unhealthy, etc., resulting in, at best, love relational mediocrity or, at worst, considerable disappointment, failure and unhappiness in love. Unblocking and Freeing Your Thought Process First? Think! Ponder! Puzzle? Question. Explore. Examine! Speculate? Reflect! Contemplate. Inquire. Suspect? Envision! Hypothesize. Learn! And do all of them concerning love! But wait. Is your mind really free and unblocked for doing these things when it comes to love? Many minds are not. Cultural conditioning has made a great many people in quite a number of societies around the world think that thinking about love is a no-no. Especially in romantic love you are supposed to rely on luck, magic, fate, the stars, myths, legends, folklore and heaven but, heaven forbid, not on your own thinking mind. It seems that only in Russia, where loveology (see “Is There Really a New Field Called Loveology”) has been made an official field of study, is it okay to really think and learn about love like you would think and learn about every other subject. That is until your lack of thinking and learning helps you get into a love relationship that sinks or crashes and gets you badly hurt. When that happens at least some people start to really think and learn about love and its actual workings. Luckily in recent years, scientists have begun to go against the social prohibition of researching love and are finding out marvelous, incredible, useful and practical love knowledge. With it, you really can do good thinking about love. Of course, family influences growing up, certain societal and religious training, love experience trauma and other intervening variables also can cause blockage and otherwise mess up your ability to think successfully concerning love in love relationships. All of those influences might require the help of a good, love-oriented counselor or therapist before really good thinking about love could be accomplished. Good Love Thinking, What Is It? I suggest good thinking about love is cognition about love accomplished via a wide variety of potentially good, love-oriented, thinking qualities. Below you will find a list of 40 such qualities. 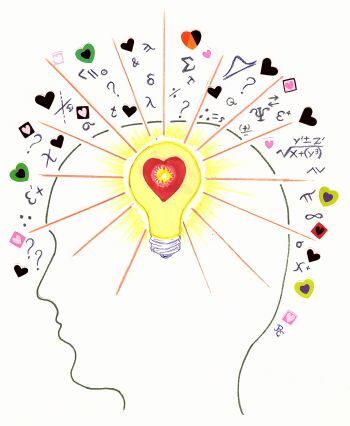 Later you can use the list to analyze, rate and improve your own thinking about love. However, first let’s just do some thinking about the qualities on the list. Each of these qualities has been used to describe, in a positive way, the nature and fashion some others tend to think in when they think about love. Would some of these words describe your thinking about love? 37. Informed 38. Loving 39. Insightful 40. Compersive* (opposite of jealous). If you wish feel free to add words or terms of your own. First, think of someone you love and consistently want ongoing love from. It could be a lover, a spouse, a child, a parent, a friend or anyone else you choose. With that person clearly in mind, pick out two to five qualities from the above list which you suspect that person wants to be descriptive of your way of thinking about love. You may want to write those qualities down. Next, ask yourself what two to five qualities you hope that loved person’s thinking about love contains. Now, ponder how this informs you about your love with that person. You could go check that out with them and do some joint thinking about your love together. Next, using the above list, let me suggest you pick out what may be two to five qualities concerning your thinking about love which you suspect may be your strongest and best qualities involved in thinking about love. Ask yourself if you really are strongly or only moderately empowered in those qualities. In either case, are there things you want to do to increase your better qualities even more? Now, search through the list to see which two to five other qualities of your thinking about love would best be improved? Then think and perhaps write down what you could do to make those improvements. Last, review the list for the two to five qualities on the list which most puzzle you or just grab your attention. Those may be the most important ones for you to attend to. All this can be used to talk over with others, especially those you are in a love relationship with. The odd-numbered items on the above list are understood to have more of a connection to cognitive mental (cortex) processing. The even-numbered items have more to do with thinking that is emotionally motivated, connected and processed (limbic). It is important that your thinking not only be cognitively good but also be in harmony with your emotions related thinking about love. Otherwise you may be, like the proverbial “house divided against itself” and become rather conflicted and self-defeating. That, by the way, is another place that much cultural conditioning about love tends to lead with its heart versus head dichotomies. Head with heart in synthesis works much better. With that in mind, you might want to count and analyze whether the even numbered qualities or the odd numbered qualities concern you the most. Are you better at the even or the odd numbered items and what do you think that might say about you? You may just know you love your children, parents, other family, pets, dear friend, and perhaps your deity, your country and even yourself. You probably are quite right about all that. However, when it comes to romantic love you can be very wrong – very seriously, dangerously and tragically wrong! Why is that? One science-based answer to that question goes like this. Mother Nature, in order to assist our species survival, evolved in us lust and various forms of false love so that we more quickly would mate and have offspring while waiting for lifelong commitment love which might never happen or take too long. Remember, that a long long time ago there were not many humans on earth and they did not live very long so, having kids before something killed us off was vital to our species survival and expansion. Note, that several forms of false love last for about two years and then turn off. That is just about enough time for two parents to get a child started and then go mix the gene pool with new others (see our Real Love False Love book). For all forms of love, it is best if your head and heart work together but especially is that important in romantic love. You may sense you have a strong romantic love for someone, a love that wants to be sexual with that person and even to have a child with that person. These feelings can be quite real but the interpretation and conclusion you draw quite mistaken. That is when your heart really needs the help of your head. 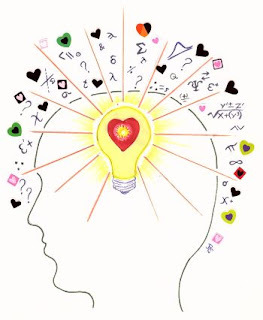 To help your heart, your head needs to be love-knowledgeable, and be able to do good love-focused thinking. Good thinking about how to love a child, a parent, a friend, yourself or anyone or anything else tends to result in good, healthy, powerful loving. Spiritual love, altruistic love, humanitarian love and every other form of love all can use the help of your good thinking mind. So, learn to do good thinking about love and maybe put a little more successful love into our world. Congratulations! You already are working at good love thinking by reading this mini-love-lesson. Keep working at it and you will get better because you can and it is important! To help you with that, you might want to give thought to the mini-love-lessons titled “Thinking Love to Improve Love”, “What Your Brain Does with Love – Put Simply” and also review “The Definition of Love Series” at this site. How about introducing this site and this mini-love-lesson’s ideas to someone you love and then to somebody new? ♥ Love Success Question: Would it be a good idea for you to make your own journal, recording your own personal “Thinking about Love”? * See the love lesson “Compersion: A Newly Identified Emotion of Love” to be published Febuary 5, 2018.